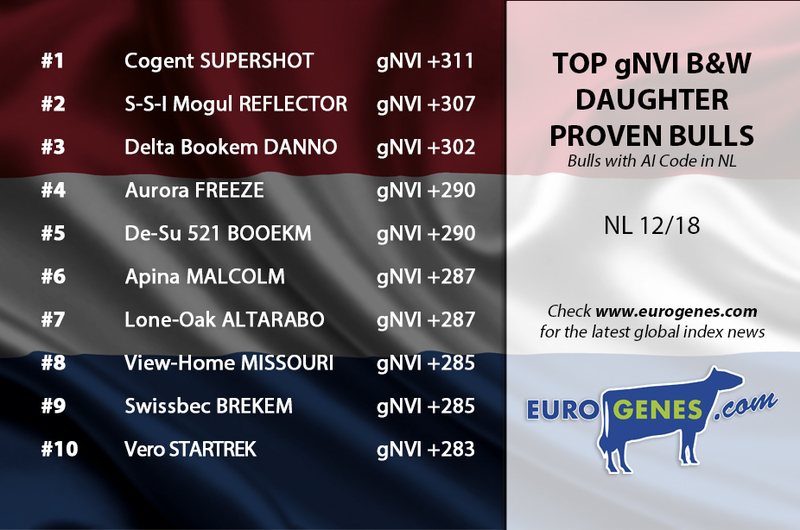 Supershot the #1 dtr proven sire in Holland! 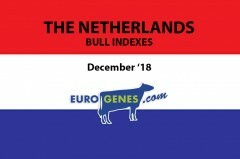 Today the new indexes in Holland came out. 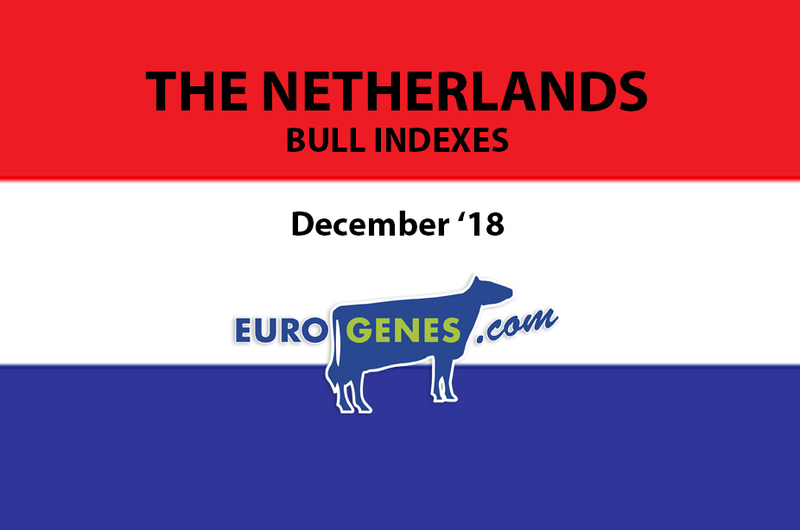 The new #1 daughter proven sire in Holland is Cogent Supershot (s. Supersire) bred by De Volmer Holsteins & Diamond Genetics. He notes +311 gNVI with 233 daughters in production. The second and NEW sire in the top is S-S-I Mogul Reflector with +307 gNVI and 60 daughters. Delta Bookem Danno takes the third position with +302 gNVI and no less than 14737 milking daughters! 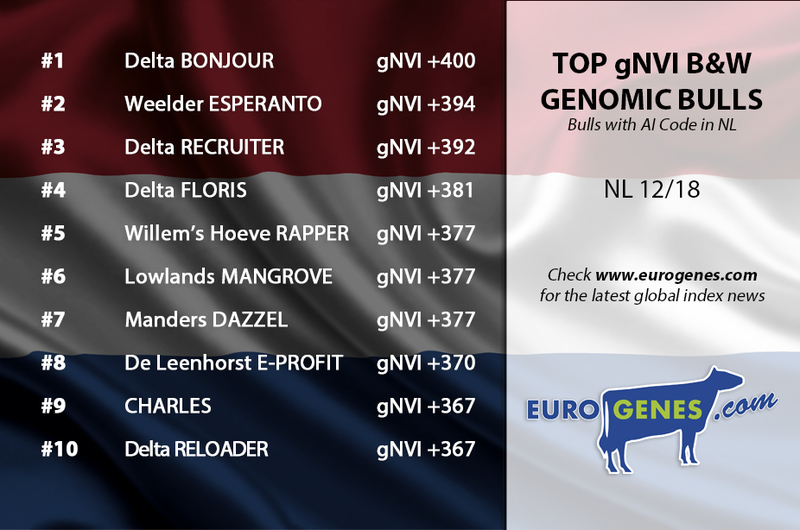 In the genomic list is Delta Bonjour the #1 with +400 gNVI! Closely followed by Weelder Esperanto +394 gNVI and Delta Recruiter +392 gNVI! The fourth in the top is Delta Floris with +381 gNVI. Willem's-Hoeve Rapper makes the top 5 complete together with Lowlands Mangrove and Manders Dazzel who also note +377 gNVI. At the R&W genoimic list is Delta Jacuzzi-Red still the #1 with +384 gNVI. With +335 gNVI follows Col DG Spark-Red at the second place. Spark Red is bred through the Genesland program and is a Salvatore x Debutant out of the Splendor Family! 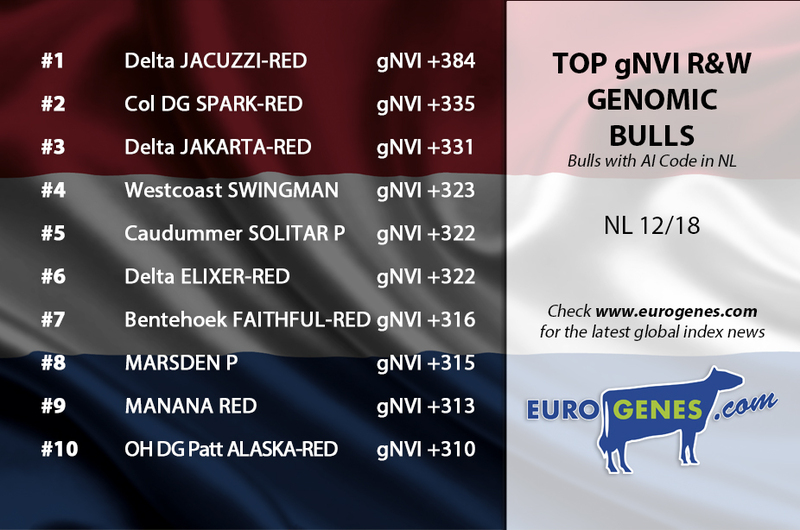 The daughter proven Red Holstein list is now leading by Elegaaster Maxx with +300 gNVI followed by the Aikman *RC son Delta Fun P with +270 gNVI. Apoll P Red loses some points and stays at place 9 with +225 gNVI. New in the top 10 is Gen-I-Beq Attico Red, this R&W show sire notes +223 gNVI at place 10.